Is the customer going to find it easier to order at Chipotle, as a result of the new CEO's changes? 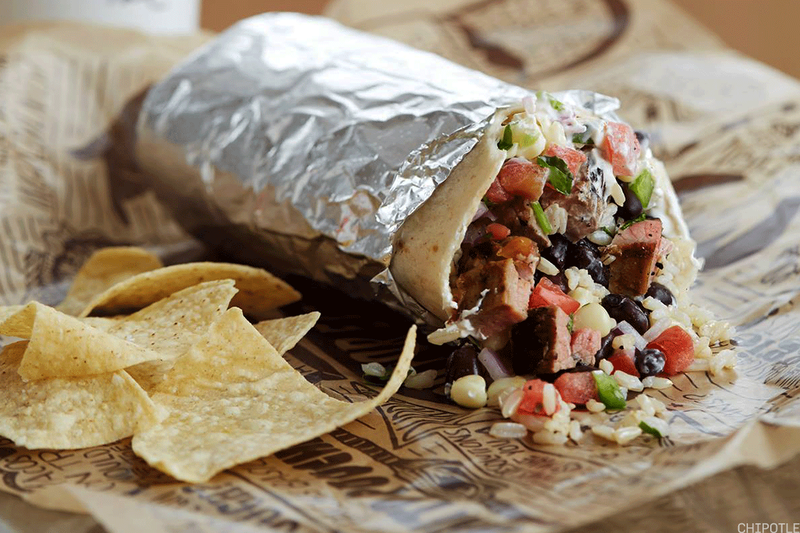 Faster, faster was the message from Chipotle Mexican Grill Inc. (CMG - Get Report) on Wednesday, June 27. The company laid out plans during an investor day call for up to 65 restaurant closures and restructuring costs of $115 million to $135 million. It also set plans for easier-to-understand digital ordering and faster moving lines at restaurants, including clearly marked pick-up shelves. CFO John R. Hartung said about half of the restructuring costs would be recorded in the second quarter, with most of the remainder absorbed during 2018. Hartung said the stores to be closed are located all over the country and there was no common thread related to their age or design. CEO Brian Niccol described the pilot program for pick-up shelves, tried out at a downtown Denver store. "That simple change caused a double-digit increase in our digital sales within the first few weeks, and it sustained," he said. "Not only did it provide a significantly faster and more convenient mobile ordering pick-up experience, but it served as in-store marketing that raised awareness among our customers standing in line." Digital sales represented 9% of the company's total sales in the first quarter and are nearing a half billion dollars, said Niccol. He expects digital to eventually hit multi-billion dollar levels. It's the first major Chipolte project for Niccol, who took over the chain in March from founder and CEO Steve Ells, who still serves as the company's executive director. Niccol, who previously headed up Taco Bell (owned by Yum Brands Inc. (YUM - Get Report) ), has been lauded as a turnaround artist and digitally savvy leader for Chipotle, which has come under fire for a number of issues ranging from food safety to new menu item flops. Chipotle stock has rallied nearly 60% since the start of the year, far outpacing both the broader stock market and the fast-casual space. Shares are up more than 40% in the last three months. Morningstar analyst R. J. Hottovy told TheStreet on Wednesday that he was looking for new product innovation, including a road map for potential day-part expansion into breakfast; more speed of service in ordering; potentially opening up more drive-thrus and the particulars of store closures. In a note, Telsey's Bob Derrington wrote, "We believe adding more new compelling products supported by evolving digital, online and loyalty programs are key to those plans, with the addition of its digitally enhanced second production lines as one of its most key enablers of same-store sales and margin growth." Building a great supporting culture as Chipotle innovates and executes across digital, access, menu and the restaurant experience"
Chipotle added that it wants to expand the business by focusing on its food and delivering stronger returns for investors. At the same time, it will aim to zero in on strong, new restaurant unit economics and digital tools that make it easier for customers to order. The company has lagged in digital ordering, while other companies, such as pizza chains, have excelled. After food safety scares that have plagued the chain in recent years, Chipotle reported a same-store sales decline of 20.4% in 2016. By year-end 2017, same-store sales had grown 6.4%. Analysts surveyed by FactSet predict that figure will grow 3.2% in 2018. Revenue, which grew 14.7% in 2017, is on track to expand further to $4.8 billion in 2018. Chipotle has had misses with new product introductions. After adding queso to its menu to lackluster reviews, Chipotle said Wednesday it will now build a "pipeline of delicious menu items that drive new customer visits, are operationally easy to execute and enhance the ability to drive throughput." Chipotle also said Wednesday it plans to consolidate its workforce in two office locations -- Newport Beach, Calif., and Columbus, Ohio, -- and add new employees in marketing, menu innovation, digital, data analytics, human resources and customer relationship management. Chipotle employs 70,000 and has 2,400 restaurants. The company announced plans last month to move the headquarters from Denver to Newport Beach, an action that's instructive about the company's direction. "The HQ move to California is critical in that we believe it emphasizes human capital investments as a priority and suggests a faster pace of change," wrote Nicole Miller Regan, an analyst at PiperJaffray, in a note published June 21.